Ypres is one of the iconic names of WW1. 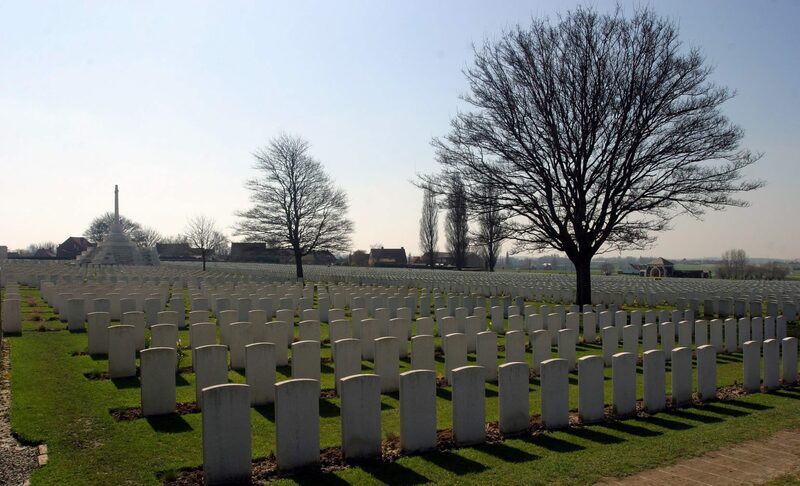 With it goes a set of images of suffering, and Ypres is the Gaelic word for ‘sacrifice’, death and bravery that have served as a benchmark for all that is memorable about this Great War. Passendale more than most of the battles of WW1, is the blueprint upon with the stereotype of WW1 battles is firmly laid. This is an unforgettable tour of pilgrimage and remembrance in which we visit the battlefields on the 100th anniversary of the battle that gained the name ‘Passendale’. Crossing the battlefield of 1917 which cost so many lives on both sides.